It’s seems like everybody has a FitBit to track their steps these days. Everyone who can afford one that is…and that’s certainly not everyone because those things aren’t cheap! If you want to track your fitness effectively and cheaply, try these awesome workout apps if you can’t afford a FitBit. Focus on cardio, weight loss, weightlifting, yoga and more with the free Workout Trainer app. Body weight workouts are especially popular with this app because you can workout anywhere with no equipment. So no excuses! You’ve always got your phone with you, right? Workout video and audio guides from professional trainers show you exactly what you need to do, move-by-move and minute by minute, to succeed. Active community members also submit their workouts so there’s always something new you can try. When you’re done, share what you did with your friends via the app or social media to stay accountable. If the free version doesn’t offer enough options for you, there is also a monthly paid plan you can try for access to even more workouts and to eliminate ads you’ll see when using the free version. Free personalized workouts on your phone? Yup, that’s a thing thanks to Sworkit. Just select the part(s) of your body that you want to work on and the length of time you have to workout. Sworkit will put together a workout just for you from their library of video and audio instruction. Only have five minutes? Sworkit has you covered. Want to keep going for a whole hour? Sworkit has your back, too. Just like with Workout Trainer, you don’t need any equipment to do the exercises with Sworkit. They all use your own body weight for resistance. Bonus: If you want to get the whole family involved there’s Sworkit Kids. Count calories precisely using the MyFitnessPal app. Log your goals, exercise, and calories eaten every day with this easy to use app. Log your food and activity level in real time and MyFitnessPal will tell you how many calories you have left to eat for the day while still making progress towards your goals. If you log everything honestly, you’ll always know how to respond to that late night text invite to grab an ice cream cone. You can sync MyFitnessPal with numerous other things that you might use already like MapMyWalk, Apple Watch, and RunKeeper. 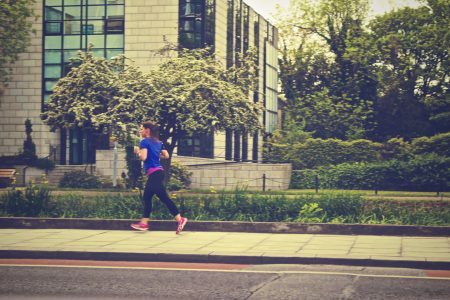 Crank your music in your earbuds and go for a run that benefits charity thanks to Charity Miles! Not a runner? 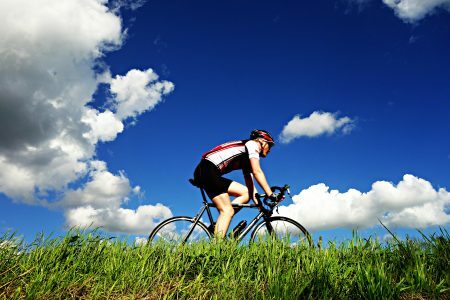 Any miles you walk, run or bike can be logged with Charity Miles. Just login, choose your charity, and then choose walk, run, or bike. If you’re on foot you’ll earn 25 cents per mile, on a bike you’ll earn 10 cents per mile. The app saves your history so you can also track how often and how far you’ve biked, run, and walked with Charity Miles. Over 30 available charities to choose from include the Crohn’s and Colitis Foundation of America, Special Olympics, World Wildlife Fund, and Alzheimer’s Association. Make a commitment to workout, eat healthy, or both. Set up how much you’ll pay in if you don’t meet your goals. Meet your goals for the week and earn cash from users who didn’t meet their goals. Miss your goals for the week and you’ve gotta pay up. People are so motivated by the cash rewards and not wanting to pay cash for failing that Pact members have a 92% success rate with meeting their goals. That’s huge! If you’ve ever failed at a diet or workout program before (who hasn’t?!) then it might be time to try something with a really high success rate. You don’t have to do anything to get Apple Health to start tracking your steps, so go check your phone – you might already have a record of your steps for today! With a little bit of input from you, Apple Health also tracks your nutrition, sleep, and even mindfulness. Be sure to fill out the Medical ID section as well. If you’re ever in an emergency and you’ve got your phone on you, first responders can check the app to see your age, blood type, allergies, pre-existing conditions and more so you get the right treatment the first time. With just a few taps you can set up Google Fit to keep track of over 120 other activities like volleyball, rowing, and tennis. This app definitely wants to be one size fits all so you don’t need to bother trying any others. It’s easy to track your progress even if you don’t have your phone with you because you can sync Google Fit between your phone, Android Wear watch, computer and tablet. Convenience for the win! Sorry, but now you’ve got no excusesto avoid getting on track with your health goals. You won’t shell out a single penny to use these apps unless you want to do so (or break your Pact). But believe me, the free version of all these apps have plenty of power for the average human and you’re not the sort of person who would break a pact, I just know it.